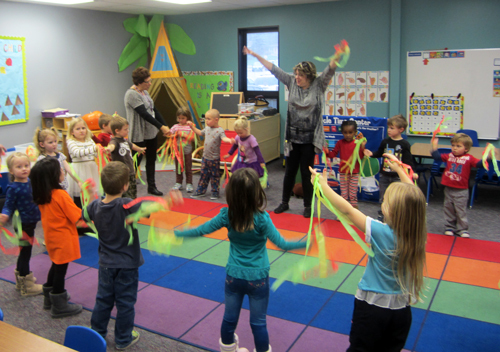 year of funding from ServeMinnesota to continue supporting 20 FTE AmeriCorps LEAP positions focused on school readiness. SMIF has served as legal host for AmeriCorps since the inception of the program in 1994. SMIF is currently is seeking qualified candidates to fill 10 open 2016-17 service terms positions. The 2016-17 AmeriCorps LEAP Initiative service term is an 11-month commitment beginning with an orientation mid-August and ending July 15, 2017. LEAP focuses specifically on building social-emotional learning skills to prepare children for kindergarten readiness and promoting routine reading at home. All applicants receive a monthly living allowance and Segal education award ($5,775 for FTE members and $2,887 for HTE members) that can be used to pay off student loans or tuition and book costs at local colleges. Health care and child care benefits are also available if needed. LEAP participants will be trained prior to site engagement during a three-day orientation retreat in August. Experience life-changing growth while earning funds for college education and/or paying off student loan debt. Make a difference by giving preschool children social-emotional support and helping them develop critical skills for Kindergarten success. Developing professional and personal leadership skills that will last a lifetime. "AmeriCorps members prove to be better workers and citizens in society," said Minnesota Senator Al Franken at the AmeriCorps awards announcement. Currently, there are 75,000 AmeriCorps members serving across the nation. "AmeriCorps members make a powerful impact on the toughest challenges facing our nation," said Wendy Spencer, CEO of the Corporation for National and Community Service, the federal agency that administers AmeriCorps. "Building on Minnesota's strong tradition of neighbor helping neighbor, AmeriCorps members will improve lives and strengthen communities across the state. As they serve others, AmeriCorps members will also expand opportunity for themselves - gaining skills and experience to jumpstart their careers. 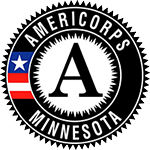 We congratulate all the Minnesota organizations who received funding this year, and thank all AmeriCorps members for their service." Applications are due August 1, 2016, but we encourage you to apply early. To learn more about requirements, member duties, benefits, and how to apply, visit the application link at www.smifoundation.org or call 507-455-3215.